Altec Systems celebrates 20 Years! 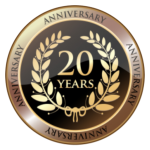 - Altec Systems Inc.
Altec Systems celebrates 20 Years! Posted on March 20, 2014 at 12:01 pm. Altec Systems celebrates 20 years in business! Click for full article from Security Systems News.